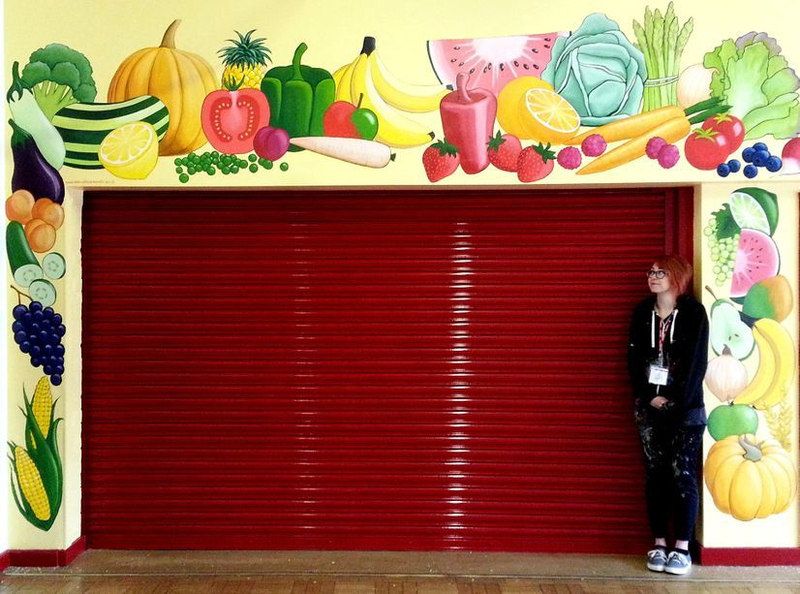 We painted this mural of lots of healthy fruit and vegetables around the canteen serving hatch in a primary school. We used lots of bright colours to make the mural fun and inviting for the children. After we had finished, we glazed it with a clear varnish. This took us 3 days to complete.